Reinforced frame with steel body and doors. Card holders for personal name/number on our 140/240 series. Finished in an anti-bacterial paint as standard - designed to reduce the risk of cross contamination and reduce the spread of potentially lethal bacteria and fungi, it will last the lifetime of the painted surface. 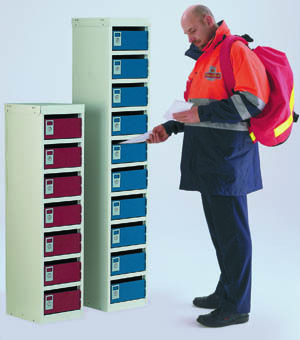 Powder coated finish Light Grey body with a choice of Light Grey, Light Blue, Dark Blue, Red, Green or Yellow doors.